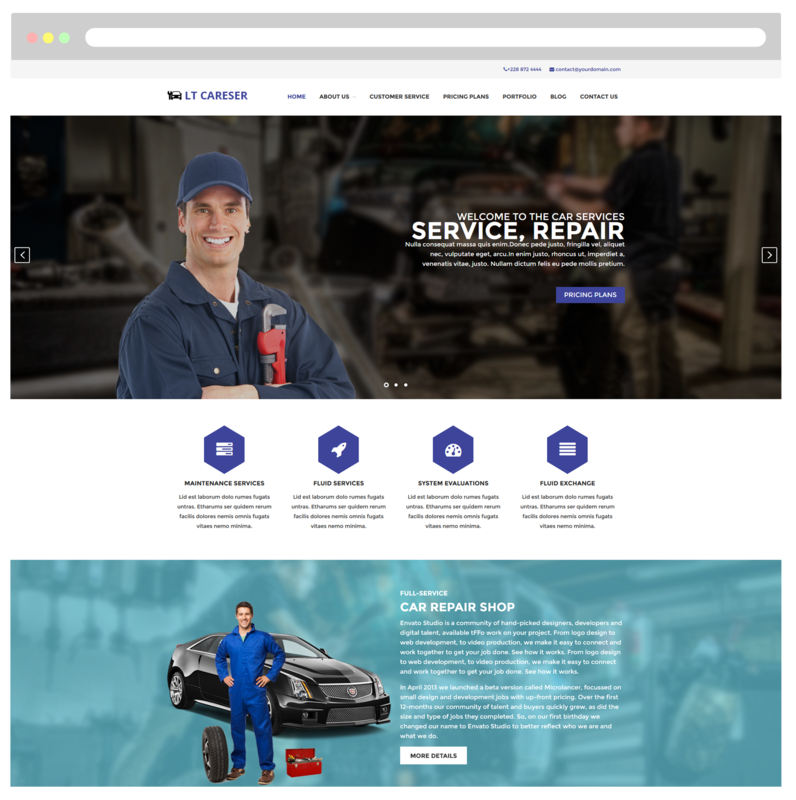 Repair WordPress theme provides the most professional but user-friendly design to perform all the products and car services! 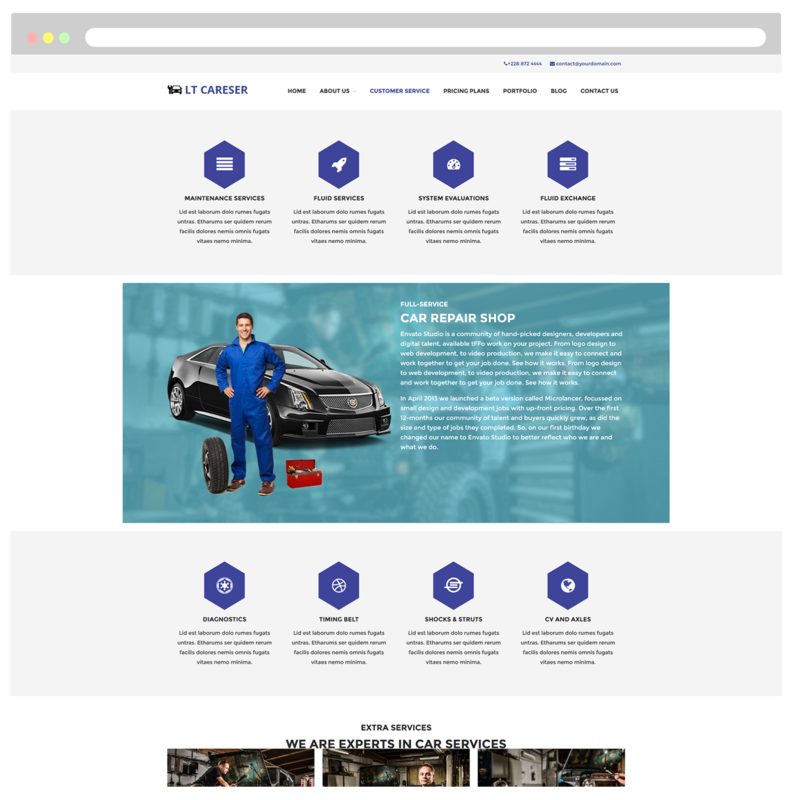 LT Careser is a Responsive WordPress theme which targets to salon cars and car repair websites. 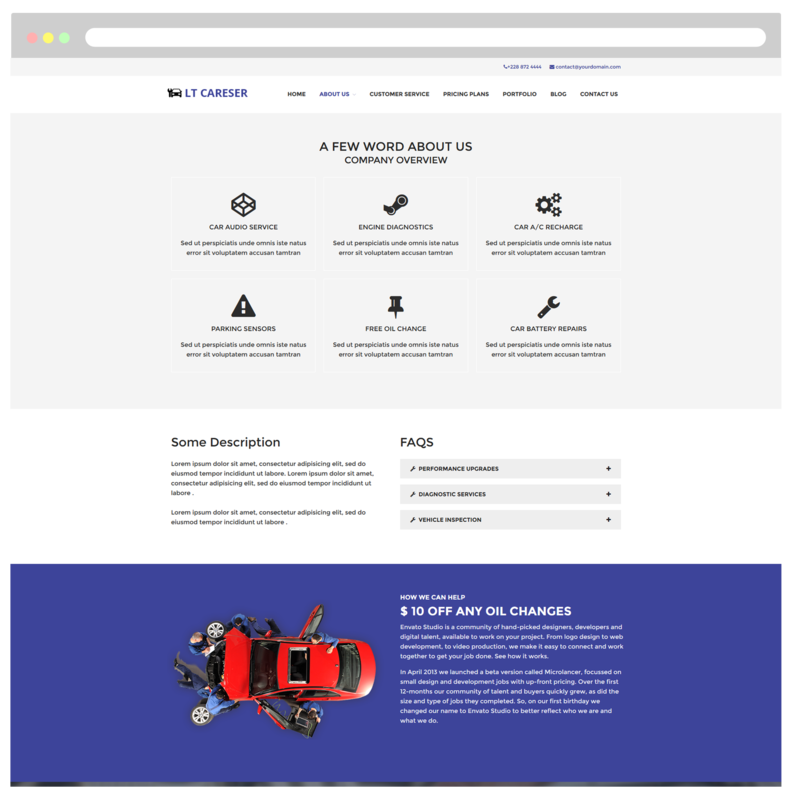 This is a great theme which offers you a nice design with full of modern car and professional service. 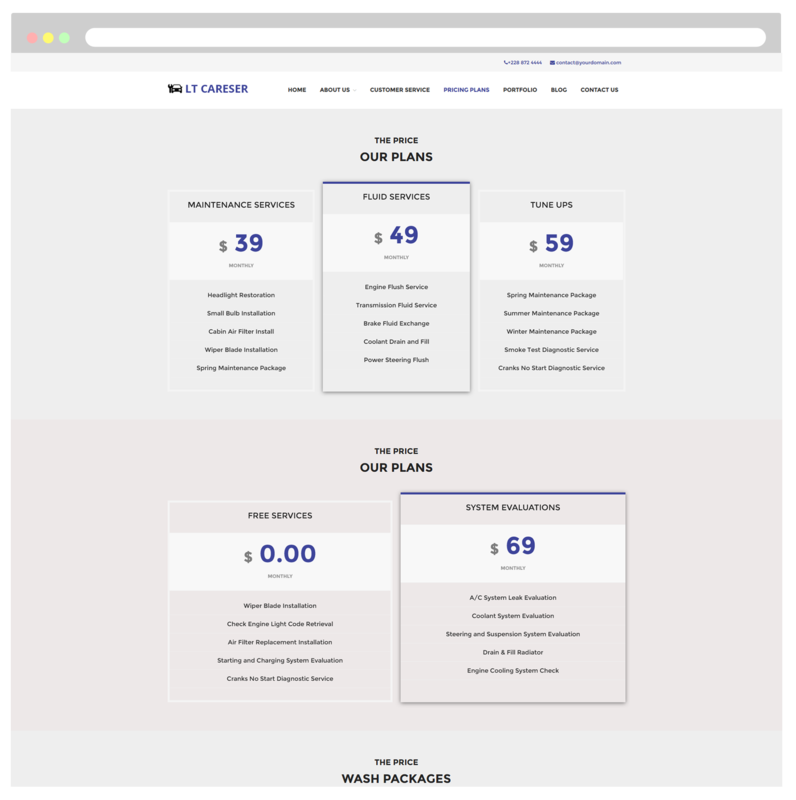 This is a simple and adaptable responsive theme with focus maintenance services, system evaluations, pricing plans and more. Besides, this theme also offers high resolution working images which are parts of work efficiency & motivation. 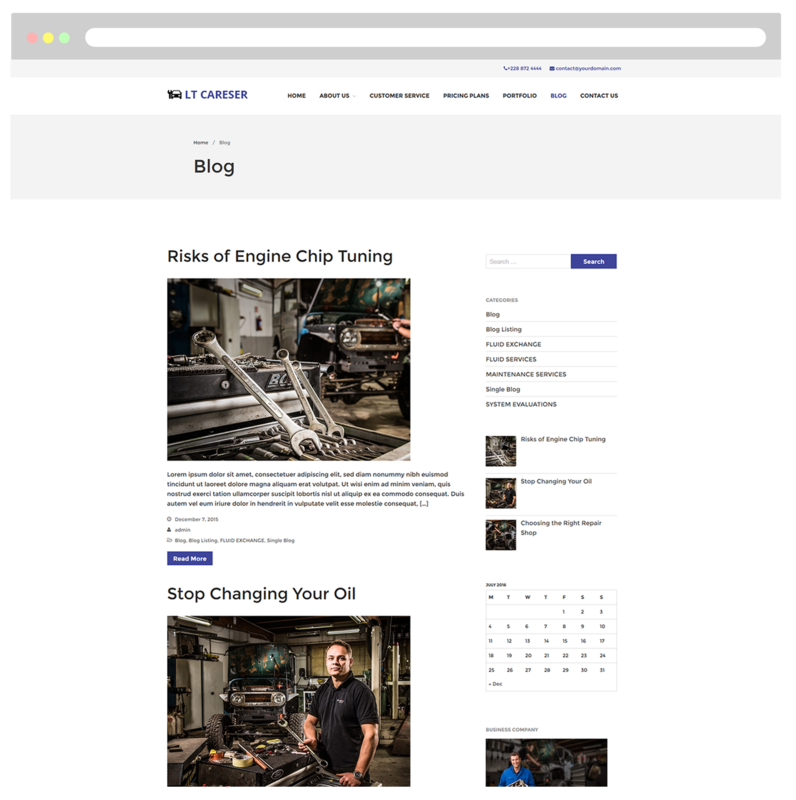 LT Careser is 100% responsive that automatically adapts to any possible screen resolution of all mobile devices, so your site content will be well-organized on any kind of mobile devices and PC. Furthermore, it builds from powerful framework with fully bootstrap supporting strong shortcodes, drag-drop layout content, and more, you will find it easy to develop your site as the way you want! 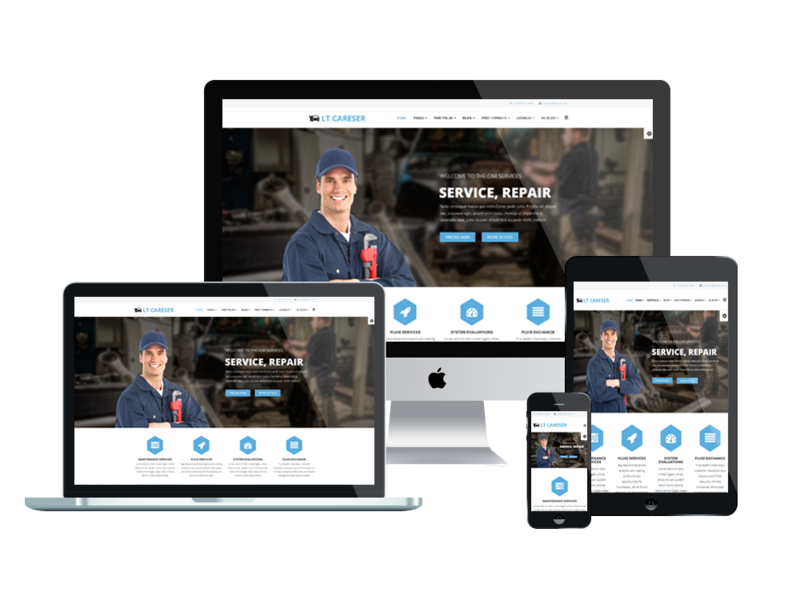 In particular, Repair WordPress theme is highly customizable WordPress theme with unlimited color options and a color picker in the admin panel, don’t miss this amazing theme, give it a look now! 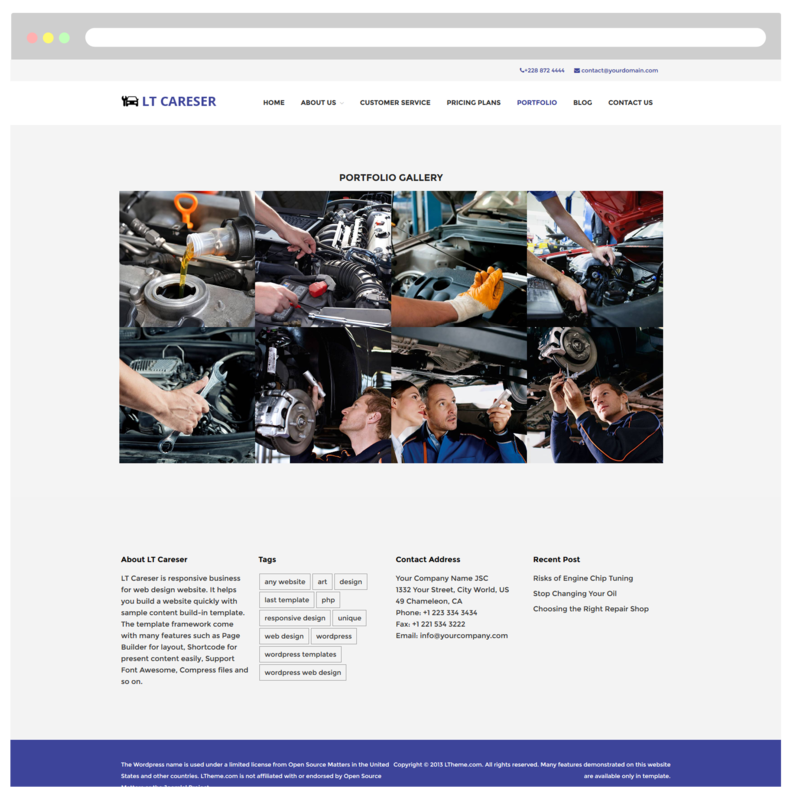 This page will help customers understand better about your car repair services. should I consider using synthetic motor oil?, what parts should be replaced? and how do I keep track of routine maintenance?… All of that you will be answered through this page. To display images and services description, you could introduce to your customers by this website. You could also lay out in 2, 3, or 4 rows as your private design. Your products would be closer and attractive the consumers in the best ways. 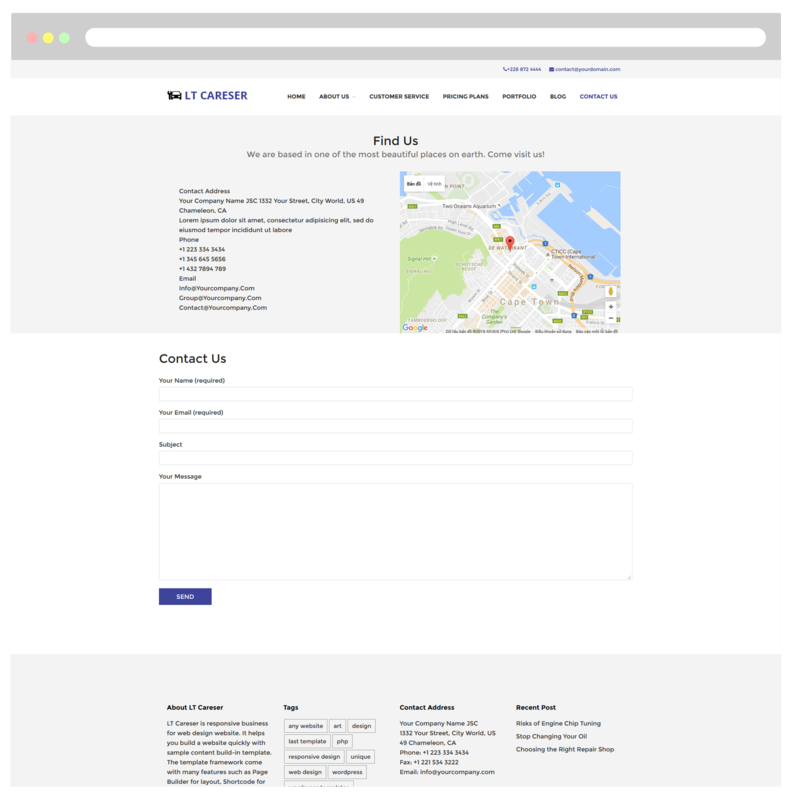 Customers could be easy to find out the address, phone number, or fax number of your company through this page. With the separated tabs, they could figure out any needed information about your company. By the map on this site, customers also determine your hotel’s location and send the feedback to management department just a click.